BACK ON THE MARKET!!! This is one of those rare occasions to find such a fantastic location and great town-home for an unbelievable price! These units VERY RARELY go up for sale. This town-home features 2 master suites, one on the first floor and one on the second! A potential 3rd bedroom or current loft upstairs (closet in place) and a 2 car attached garage. This unit is on a cul-de-sac and backs up to multiple acres of woods. There is a lovely patio area (which can be expanded) and plenty of guest parking. Updates include new windows in 2012; Roof replaced by HOA; A/C is 2 years old; Stainless Steel inside dishwasher is only 1 year old; stove is about 2 years old. Kitchen counters and bathroom sinks have been updated along with a tile back-splash in the kitchen. No rentals. HOA includes: water, termite, exterior maintenance (excluding doors and windows), snow removal, lawn care and treatment. 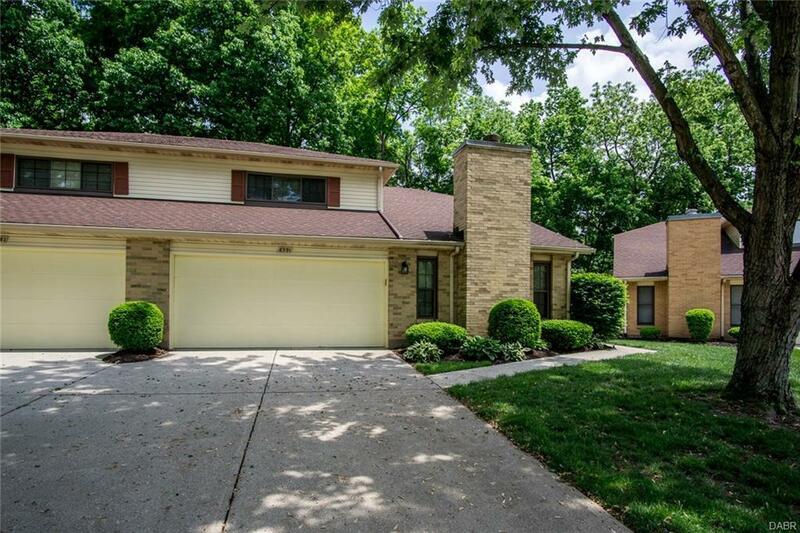 Fabulous location with quick access to Hospital, I-675 and shops and restaurants! Listing provided courtesy of Tawnya Lee-Hurst of Bill Lee & Associates Inc.. © 2019 Dayton Area Board of REALTORS® MLS. Information Deemed Reliable But Not Guaranteed.